When Google partnered up with Samsung and HTC to launch both flagship Android devices, The Galaxy S4 and HTC One on its Play store, that was a joyous moment for most if not all Android fans. Google promised that the Google Editions of both devices will come with Vanilla Android without all the gimmicks and bloatware and Both devices will receive timely updates unlike their “Gimmicky” variants. Well, Google has delivered on both promises, we already got the devices without bloatware and now, both devices are receiving the latest Android 4.3 update. Android 4.3 was released with the launch of New Nexus 7 a while back. We already saw the update coming to most of the Nexus devices including the old Nexus 7. 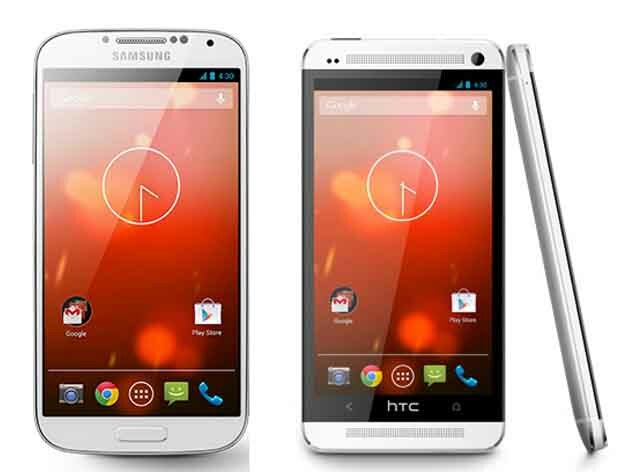 Now, both Google Edition of Galaxy S4 and HTC One are getting their fair share of Android 4.3 awesomeness. GT-i9260 “Superior” to be Galaxy Nexus for 2012?